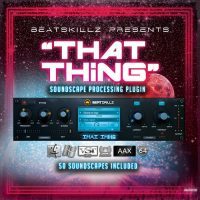 “That Thing” is a multi effects processor that was designed to get you “That Thing” missing from digitally perfect tracks today. 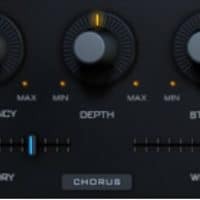 Featuring a beautiful wide and deep Chorus section and a unique Textures module, this plugin is great for thickening everything from Synths, Vocals & Bass to Pads and Drums! 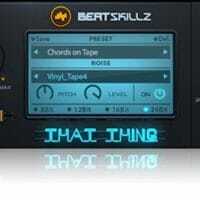 Make Your Tracks Come Alive With “That Thing”! Today’s music that is made on computers and digital technology has made many wonderful things possible, such as creating and editing music with instant recall. With the rise of new technology, some mix engineers and producers still feel that digital is “too” perfect, capturing everything cleanly, yet still missing “That Thing” that analog recording and reproduction devices had. 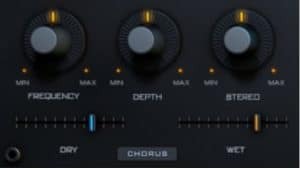 Behold “That Thing”, a new concept and effects processor that bring back the sound and artifacts of analog and older devices, and doesn’t stop at that, Beatskillz have added sounds from nature, and other soundscapes that can add that “color” and “grit” to make your tracks come alive! “That Thing” features amongst other things a beautiful chorus section derived from older analog units, with a beautiful sound and amazing stereo width, all of which the user can control. 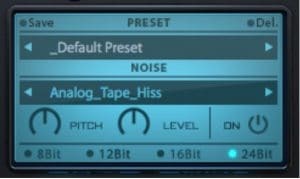 The Plugin also includes a library of 50 samples of soundscapes, analog noise, tape hiss, vinyl noise, environments, elements of nature etc meticulously designed to give you a quick start. The pitch of these samples can be controlled, and the samples play with an envelope follower which brings in the sample and fades the samples with the audio signal, making it convenient for the user. Soundscape Generator – Use our present samples of Vinyl, Tape, Tube, and Nature, or sample your own and use them! Take Total Control of Your Sound With “That Thing”! With a multitude of options for sculpting your sound, “That Thing” aims to ensure you have complete control of every element of your mix. Freq – Controls the frequency of the chorus modulation. 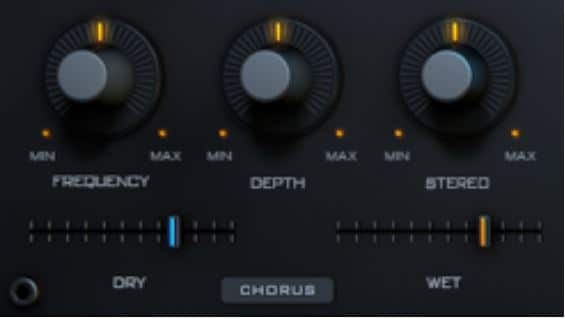 Depth: Controls the depth of the chorus modulation. Stereo: Controls the Stereo Width and spatial image of the audio signal. Preset Selector – Choose, create or delete presets. Noise – Select the built in samples of noise and soundscapes. Pitch – Controls the pitch of the sample selected. Level – Increase/ Decrease the level of the sample selected. On – Switch the sample on or off. Bit Rate – Select from the available bit rate reduction and D/A simulation algorithms. 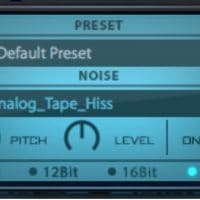 Lowcut – Switch on/off a low cut filter and set frequency from 20Hz-20Kh. 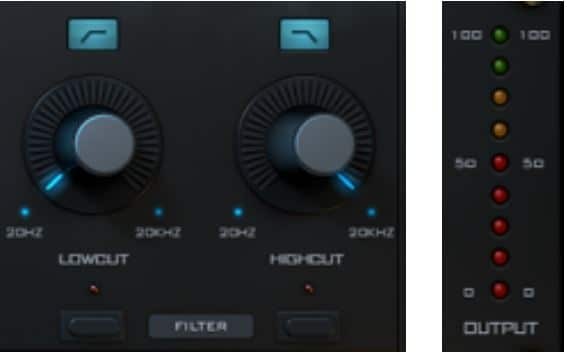 Highcut – Switch on/off a high cut filter and set frequency from 20Hz-20Kh. Output – This meter shows the output signal level. NEON SIGN – Watch the neon sign of “that thing” flicker and give a nice visual feedback. 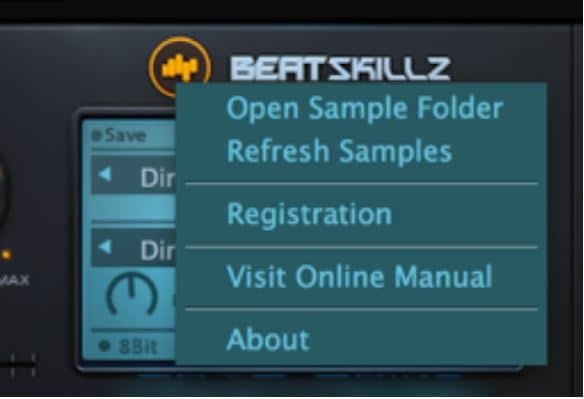 Click on the beatskillz logo on the plugin, select the “open sample folder” option from the menu. 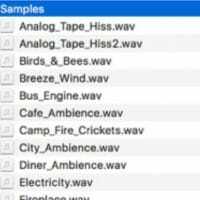 Drag your own samples – “.wav” files into the “samples” folder that opens up. 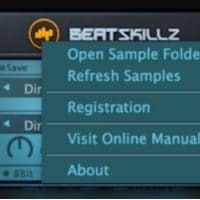 Click on the beatskillz logo again and select the “Refresh Samples” option. 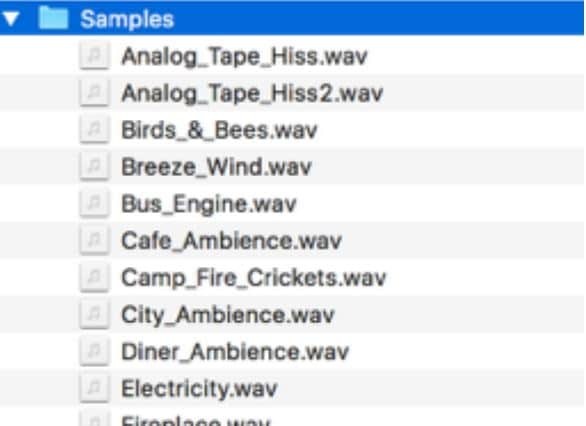 Your newly added samples will now show up on the “noise list” (the blue selector space below the preset list space). Save your preset and recall at any time. So What Exactly Can I Do With “That Thing”? “That Thing” is perfect for beginners and advanced users. 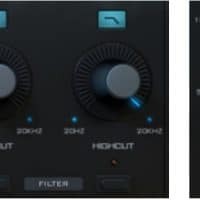 For beginners / intermediate level producers, it offers a huge range of useful presets in both the “Factory” and “Dark Atmos” banks that can serve as a starting point for your own unique creations. For more advanced users it offers a huge range of control over all its features. 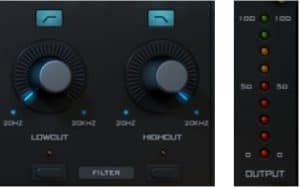 This is a extremely versatile Multi FX Processor that everyone will find useful, no matter what the usage! Normally €50 – get it at 84% off before it’s gone! 84% off the normal price (normally €50)! Import your own samples and use them! Perfect for adding Definition. Color and Grit to your mix to make your tracks come alive!